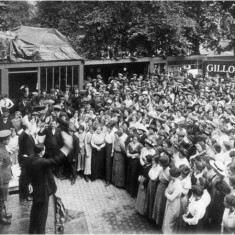 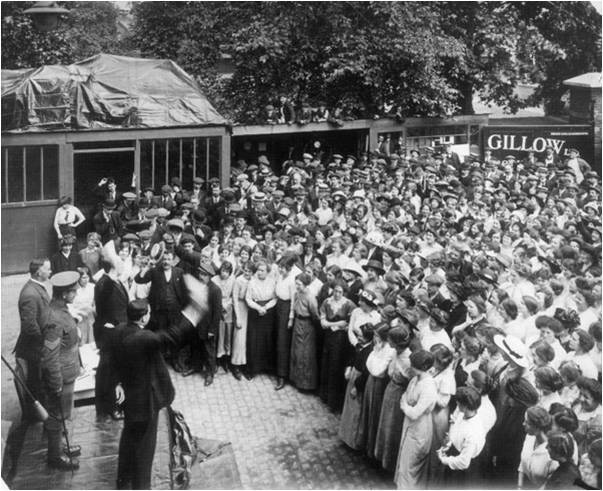 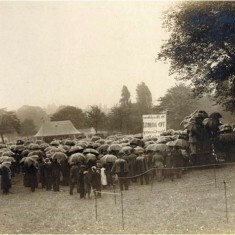 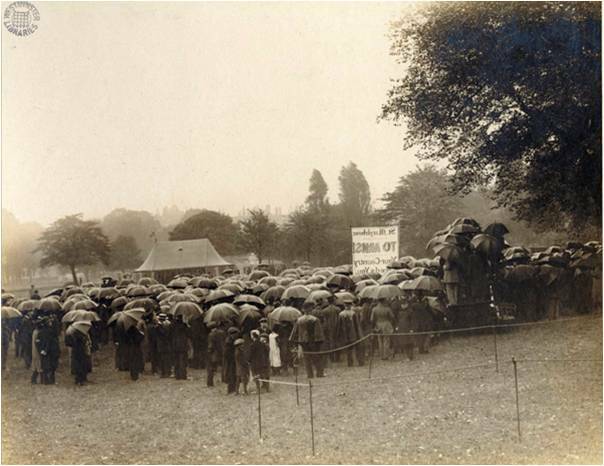 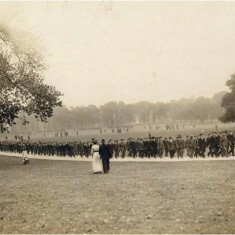 Recruiting meeting in Regent's Park for Lord Kitchener's new British Army in the summer of 1914. 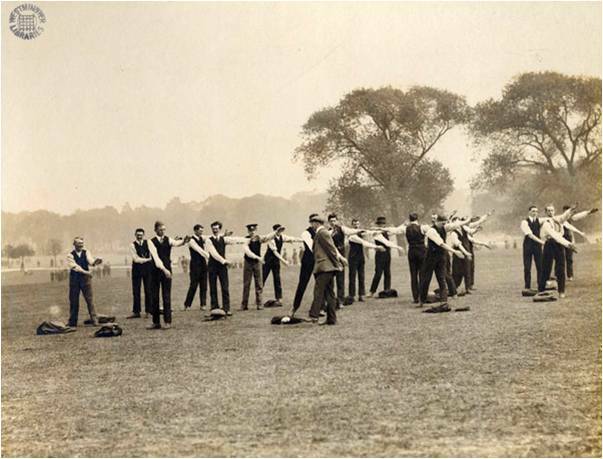 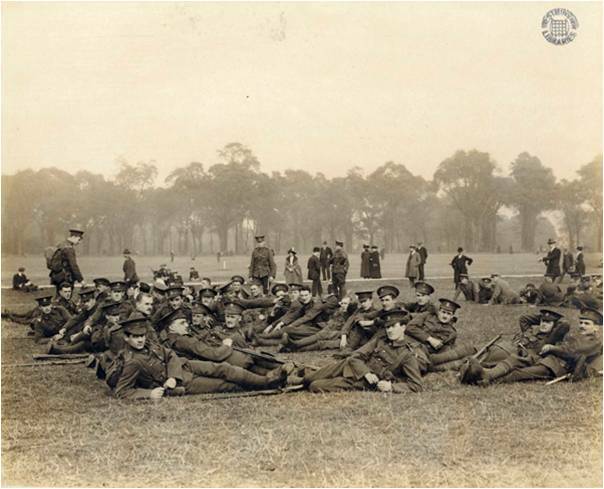 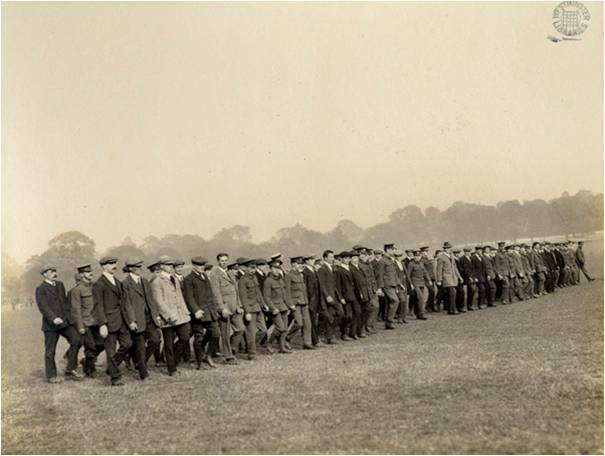 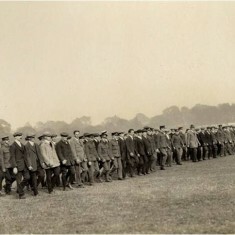 Training of new recruits for Lord Kitchener's new British Army, H Company in Regent's Park during the summer of 1914. 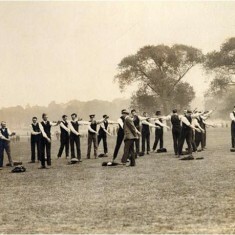 Members of Lord Kitchener's new British Army in training in Regent's Park during the summer of 1914. 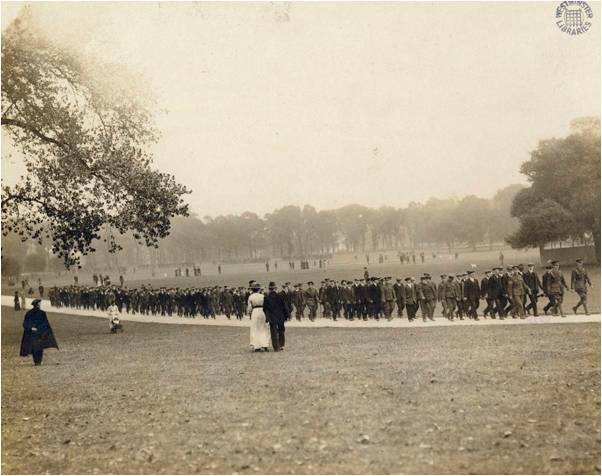 Members of A Company heading towards the drill ground in Regent’s Park during the summer of 1914. 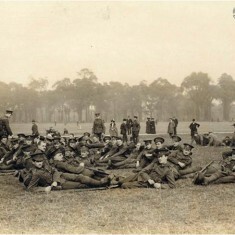 Members of G Company of the 28th City of London Artist Rifles at ease in Regent’s Park after a route march, 1914. 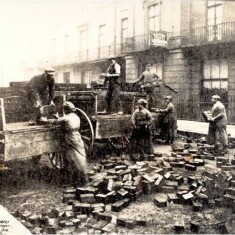 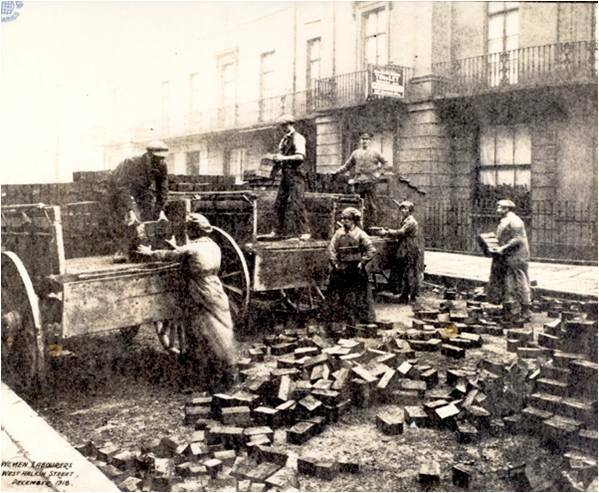 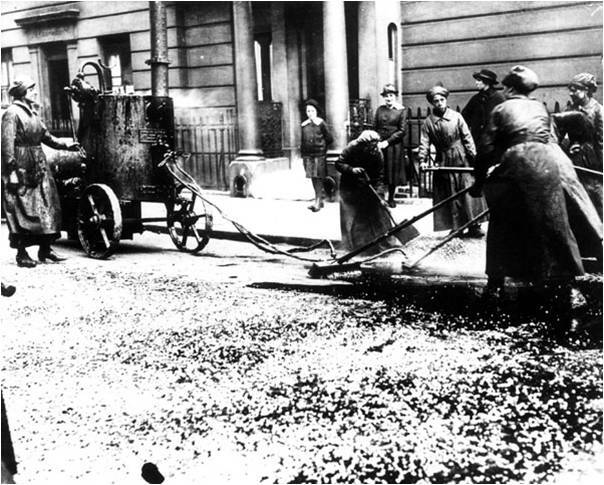 Women labourers paving in West Halkin Street in 1918. 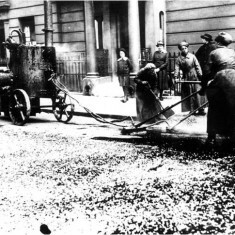 Women tar sprayers at work in Clarendon Street in May 1918. 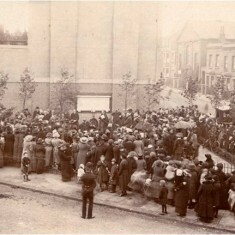 Meeting of Waring & Gillow workers in factory yard. 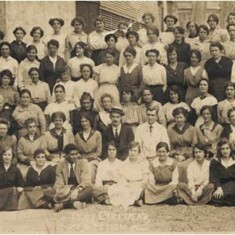 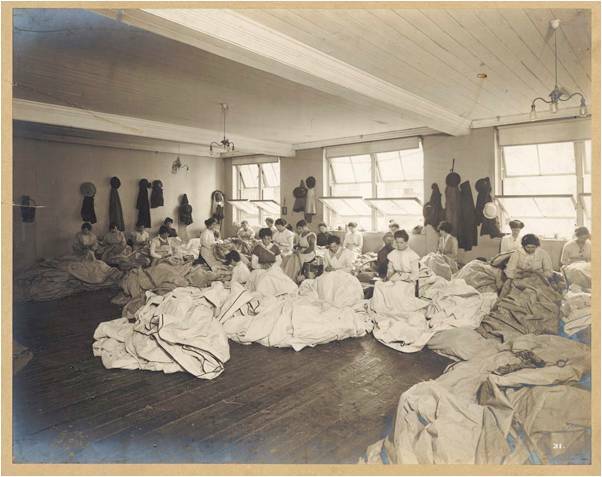 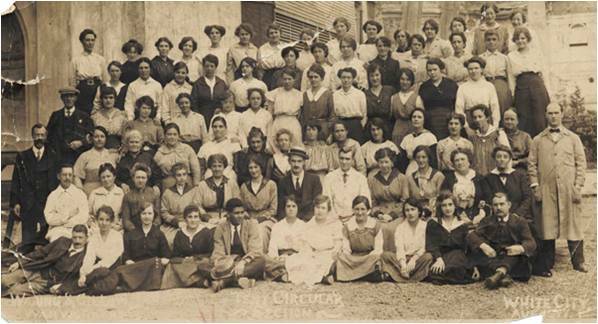 Women workers of the Tent Circular Section at the Waring and Gillow factory at White City in August 1917. 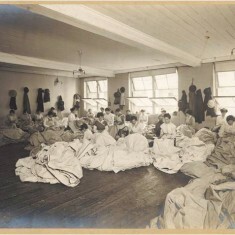 Women factory workers cutting cloth at Waring & Gillow’s White City factory, 1914-1918. 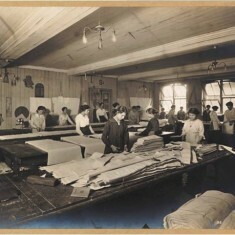 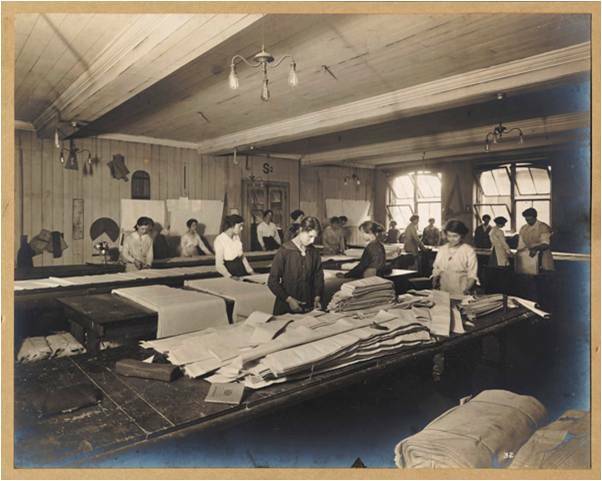 Women factory workers hand sewing canvas at Waring & Gillow’s White City factory, 1914-1918. 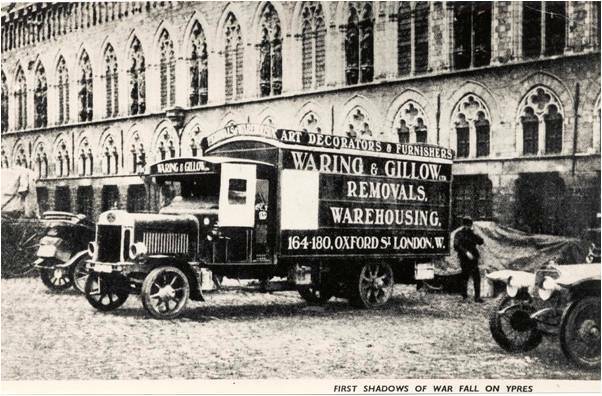 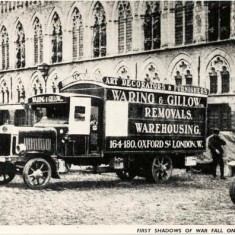 Waring and Gillow Removals, warehousing van parked in the main square of Ypres in 1915. 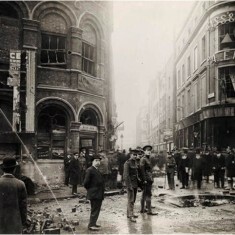 Soldiers & civilians inspecting bomb damage to Wellington Street, Strand, as a result of a Zeppelin night raid on 13th October 1915. 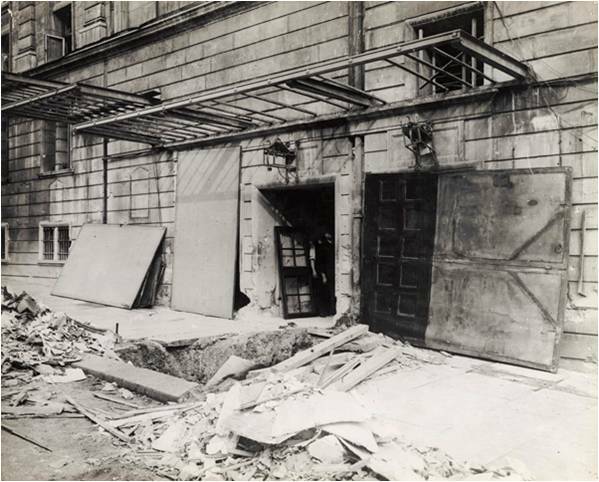 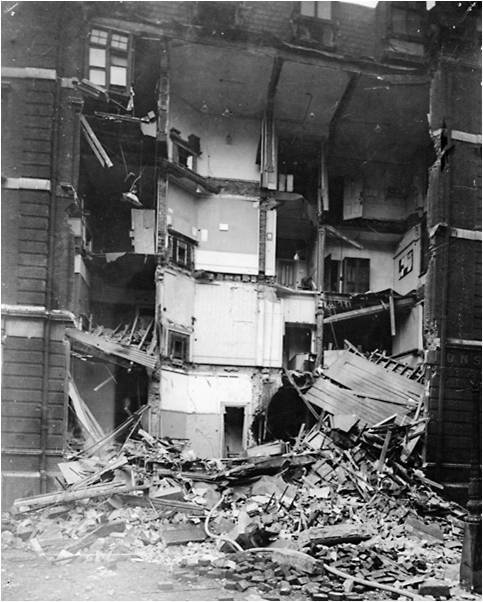 Damage to the side door of the Strand Theatre as a result of a Zeppelin night raid on 13th October 1915. 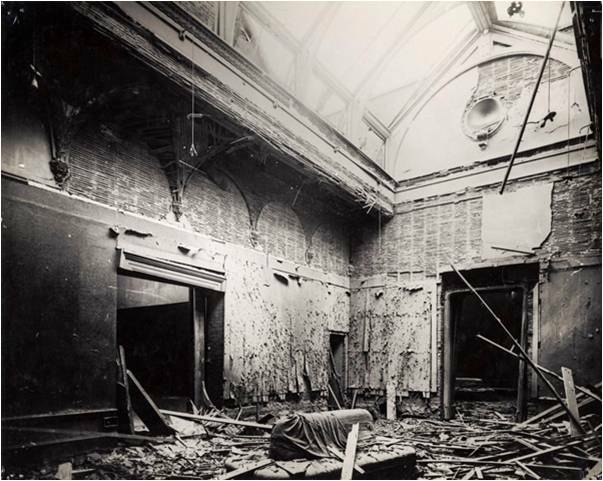 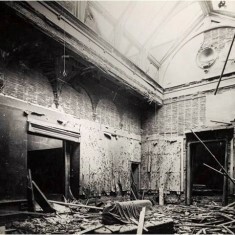 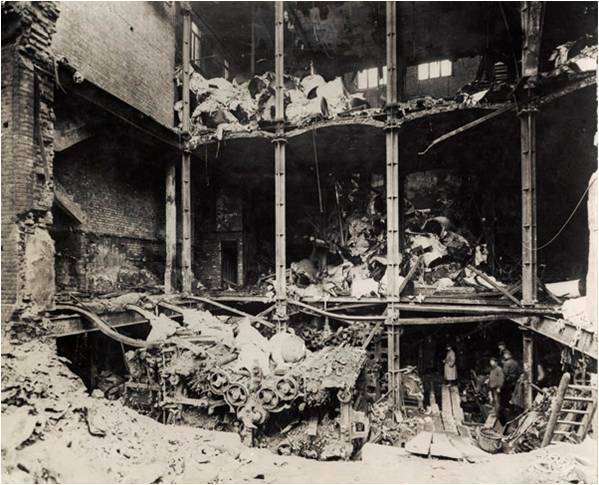 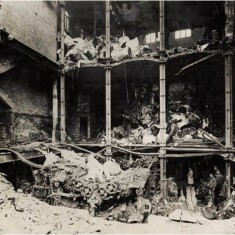 Damage to interior of gallery at Royal Academy, Burlington House, Piccadilly, as a result of a daylight aeroplane raid on 28 November 1916. 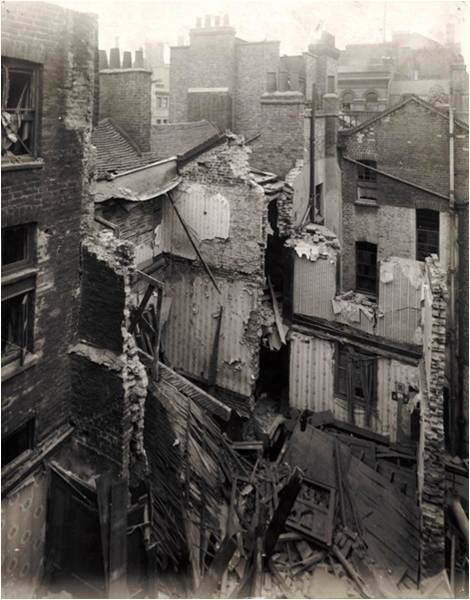 Damage to houses in Edward Street, Soho as a result of a daylight aeroplane raid, 26th November 1916. 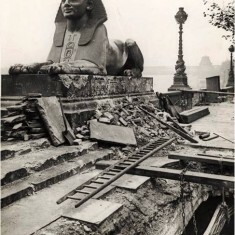 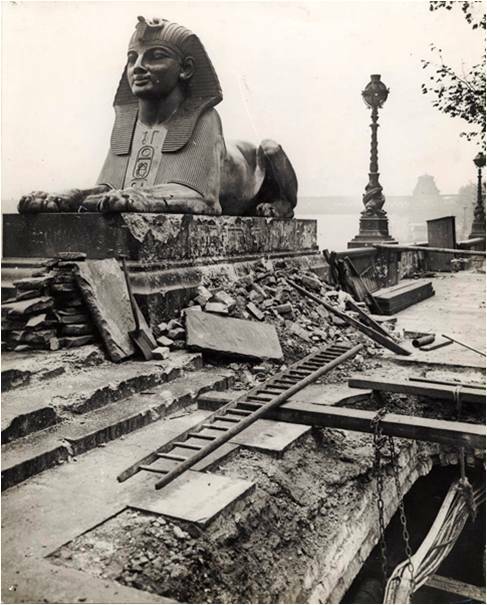 Damage to the Sphinx and Victoria Embankment, as a result of an aeroplane night raid on 18th December 1917. 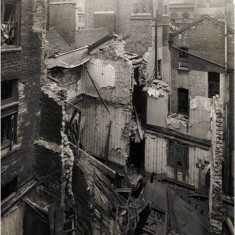 Damage to the printing presses at Odham's Press, Long Acre, as a result of an aeroplane night raid on 28th January 1918. 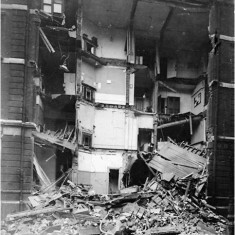 Damage to Savoy Mansions, as a result of an aeroplane night raid on 28 January 1918. 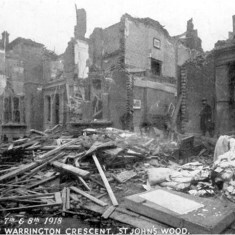 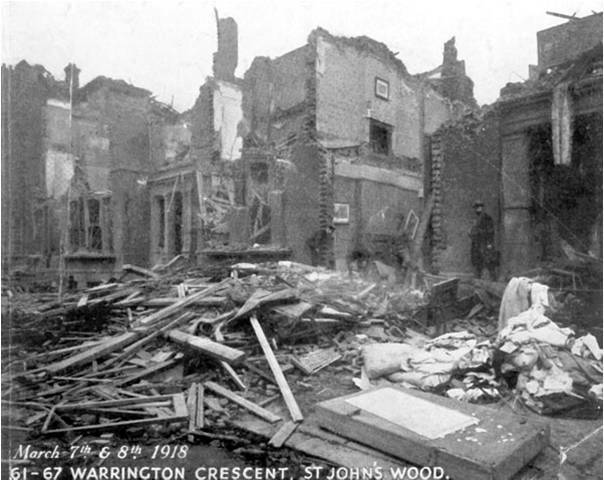 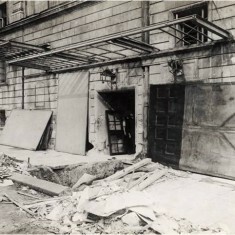 Bomb damage to 61-67 Warrington Crescent in March 1918. 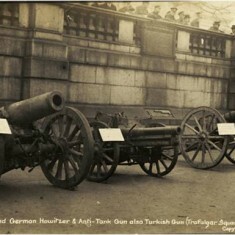 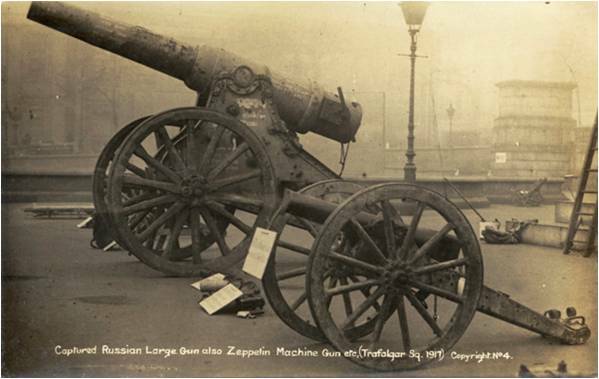 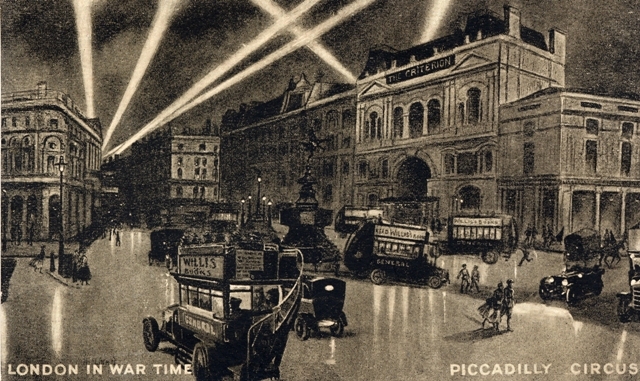 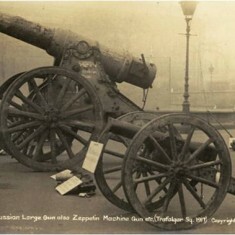 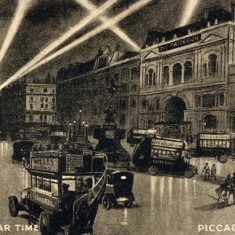 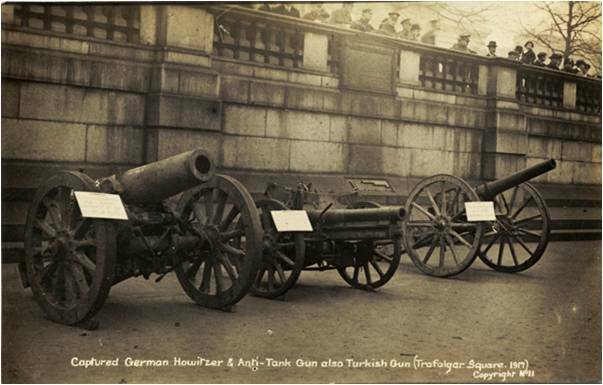 Captured guns on display in Trafalgar Square in November 1917. 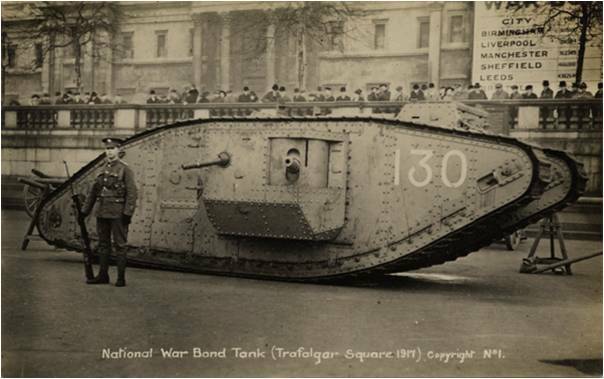 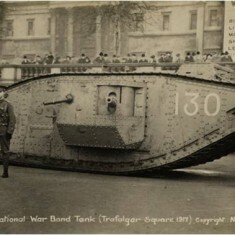 National War Bond Tank on display Trafalgar Square, 1917. 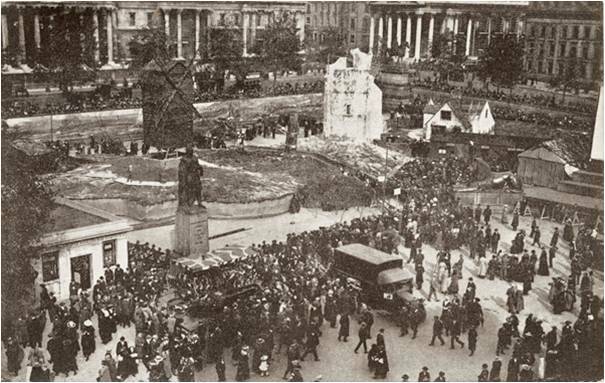 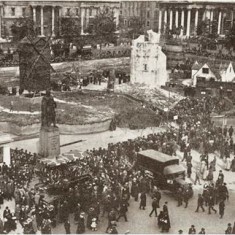 War Bonds mock French village in Trafalgar Square in October 1918. 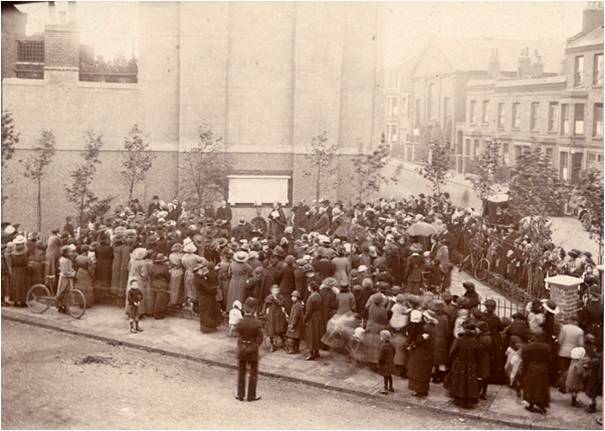 Unveiling ceremony of the Queen's Park War Memorial at the junction of Beethoven Street and Herries Street, 1920. 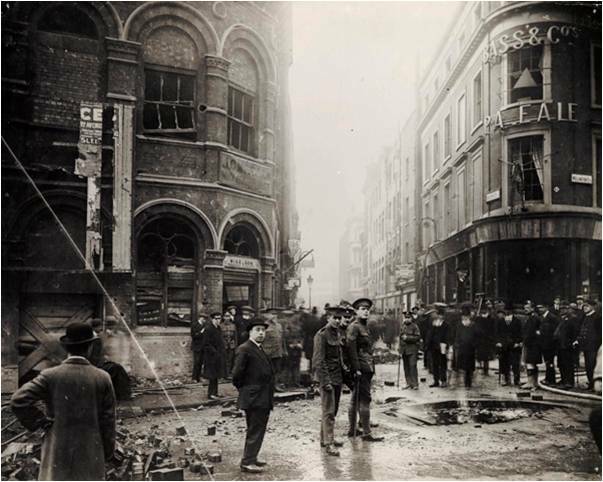 These photographs and many more items are available to view at the City of Westminster Archive Centre.